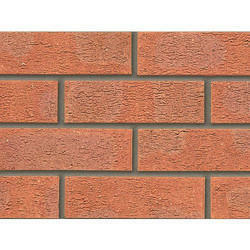 - Size : 9" x 3"
We are a leader in manufacturing and supplying of Facing Bricks. These are available at affordable rates to our esteemed buyers. Size In Inches: 9In. x 4In. x 2.75In. 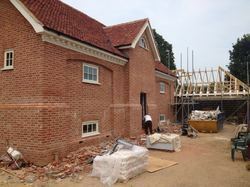 To retain our goodwill in clients' consideration, we are deeply engrossed in manufacturing and supplying an attractive range of Elevation Bricks. Uses: Used for making walls of homes, hotels, etc. Coverage Area (Sq. feet): Per 1000 Sq.ft. 1160 Nos. FACE BRICKS are also wirecut but higher quality, with an added surface effect on one side that’s visible when laid. 123- 6" x 2" 97 - 6" x 1.5"
112 - 6" x 1"